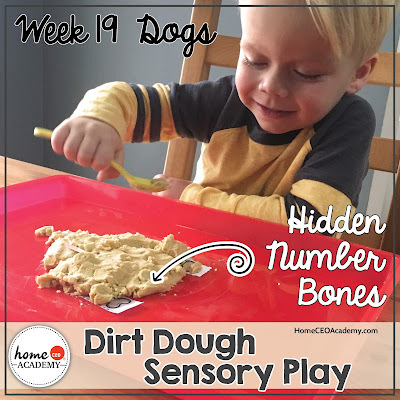 If you are reading this and you have done some of our seasonal units, you've been teaching your little ones for over 6 months!!!! Give yourself a pat on the back! 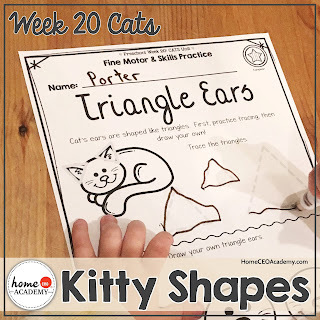 Cats is week 20 of our 46 week preschool at home program geared toward 2 and 3 year olds. 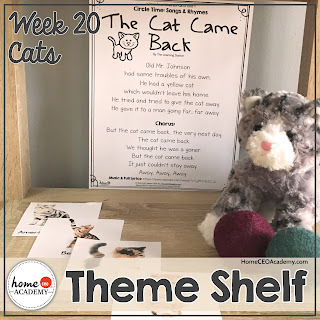 Cat flashcards, cat song, stuffy cat! 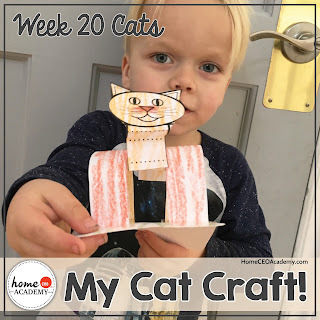 We are ready to learn all about cats this week! S, T, and U were our focus letters this week. 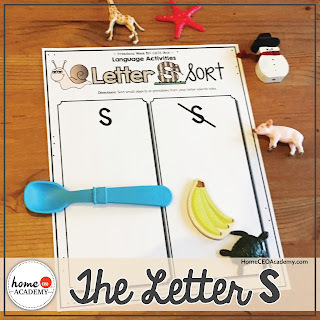 True story...Porter placed all but the pig on this letter S sorting sheet and looked up at me and said "Is this a pig or a swine?' I guess Cap'n Turbot's awesome alliteration acumen has rubbed off on my son! 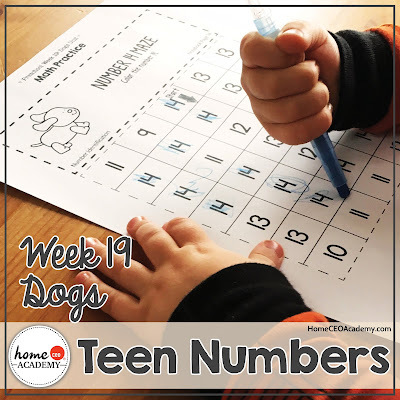 This week was all about the number 15! 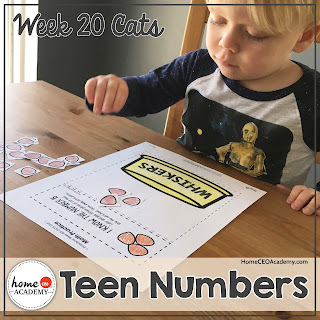 We reviewed tally marks, base ten blocks, and put 15 pieces of cat food in Whiskers bowl. The #poetryteatime tag is very popular on Instagram, but I'd like to start a #snackandastory trend! Kitten's First Full Moon has been a staple on our bookshelf for almost 4 years. 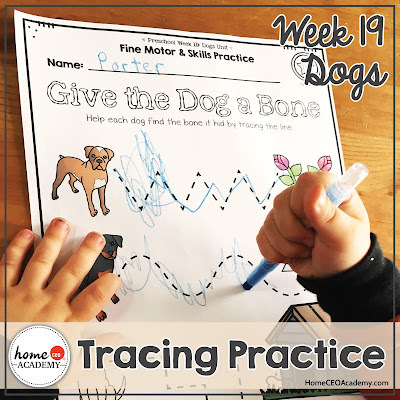 We worked on lot of tracing this week and I'm so proud of my little man! He traced triangles and C's all on his own, but has no interest when I asked him to write his own. Sigh :/ You win some, you lose some; but that's still a lot of progress! 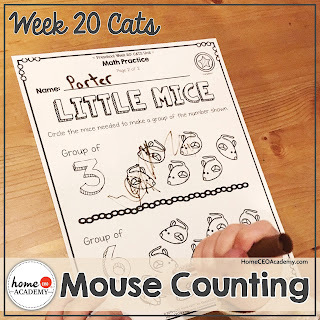 No unit about cats is complete without some mice! 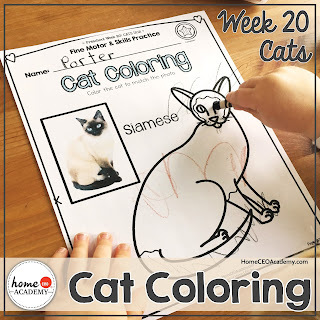 Full disclosure...I printed out a few extras of these cat coloring pages for myself to do once the kids were asleep! 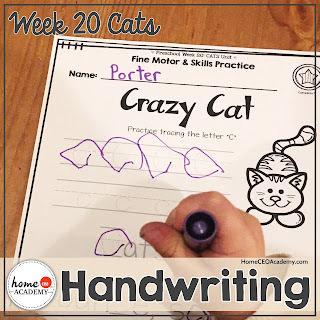 I hope you enjoyed a window into our little preschool homeschool! Check out our website for more information on our 46 week totschooling program or feel free to email me if you have any questions! See you all next week when I give you a peak of our bird week. Welcome back everyone! 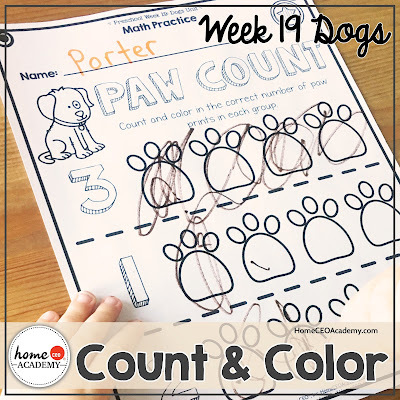 After a little holiday break, Porter and I were excited to get back into our homeschool rhythm and start our third quarter (week 19 of our 46 week totschool curriculum for little ones between 2 and 3 years old) which focuses on animals. 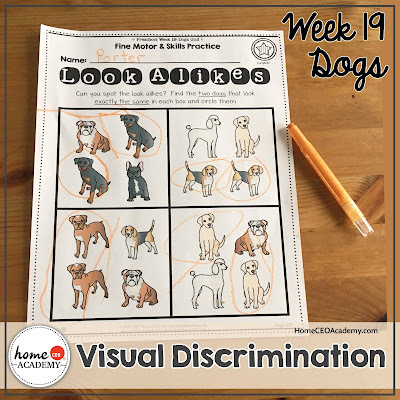 This week was all about dogs! 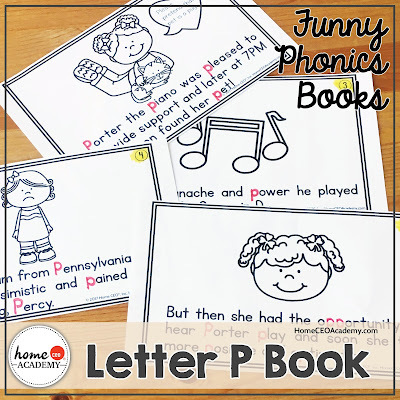 Our wake up, warm up activities for this week had us reading a new funny phonics book each day. Our letters this week were P, Q, and R. I like to lay the pages out on the table and ask Porter to find the numbers to put the book in order. I highlight the top corner so he can find it better ;) Then we staple and read. 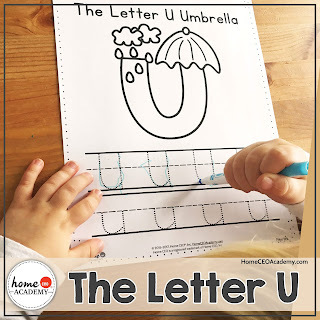 After reading, we go back and I ask him to find the special letter of the day on each page. We count how many of the letters are on each page, and we figure out if they are capital or lowercase. We have a little joke in our house called "that doesn't match." I say "Alright everybody, its time to go out. Lets get our shoes on." The kids then go into the mud room and come out wearing a rainboot and a sneaker, or a flip flop and one of my husband's shoes. They think its hilarious when I then say, "Wait a second! That doesn't match!" They put on the correct footwear and off we go. After joking on the first square, Porter was able to match each dog easily. 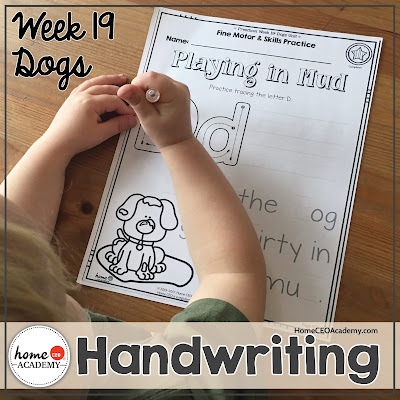 You can't do a dog week without some letter D handwriting practice! 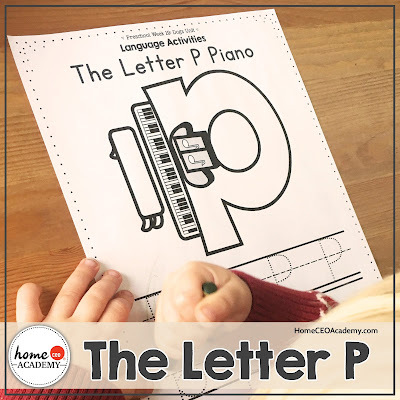 Along with the letter D handwriting sheet, this week also has P, Q, and R sheets to match our letter crafts. 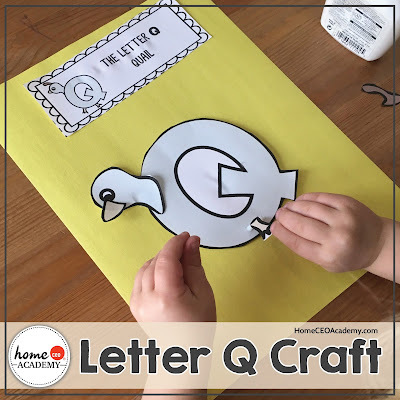 Speaking of letter crafts! Porter was a little confused by this because quail is not a word we use or animal we see every day. We jumped on to good ol'google and found some ADORABLE pictures and videos he now has a new favorite bird! 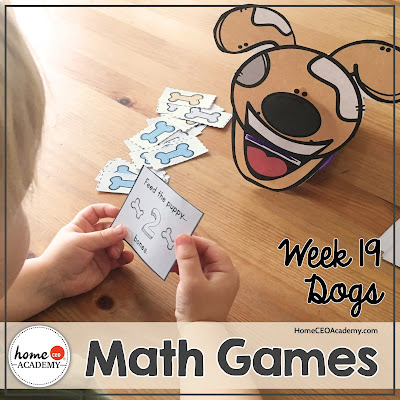 Math games are the best!!!! So are number mazes! 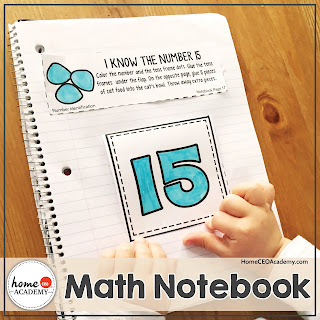 This week, Porter added pages about 14 to his math notebook. 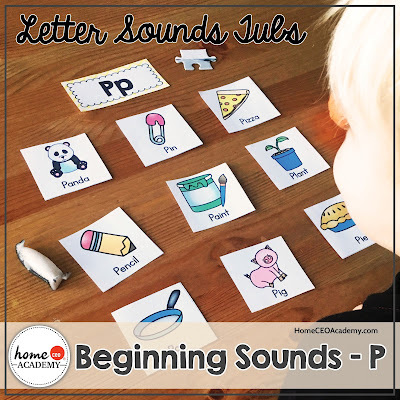 If you couldn't tell by the pictures, Porter was very excited to all of the activities that started with the first letter of his name! I didn't even read the directions and this little guy just went to town! 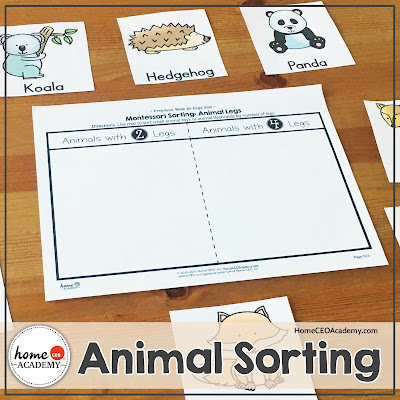 Use our flashcards or any little animals you have around the house for this fun sorting page. 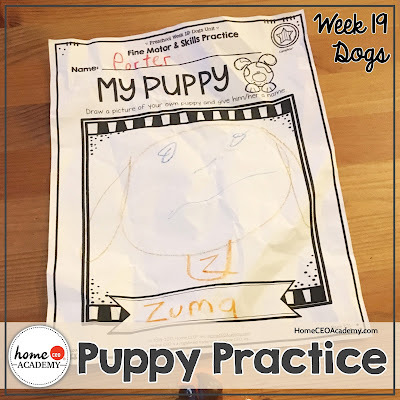 If you would like to find out more about or full year totschool or preschool at home curriculum, click here. 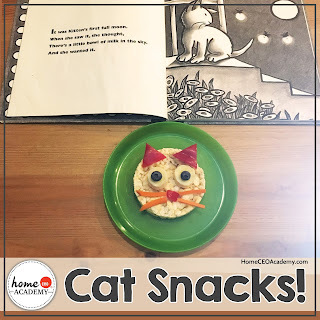 See you next time when I review our cats unit!